NH Chan, the People's Judge. We need more people like NH. That's why you should buy PASOC. 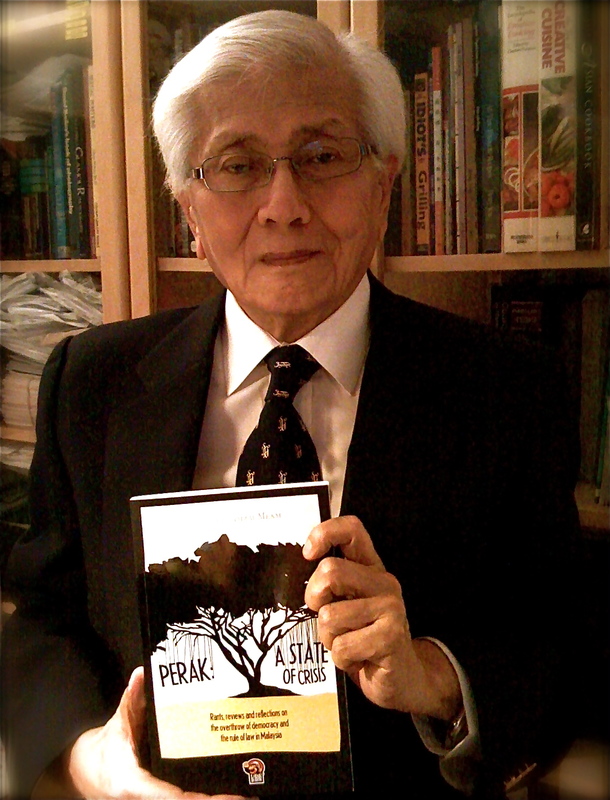 LoyarBaca‘s first publication Perak: A State of Crisis (PASOC) has been a runaway hit and will soon be in Malaysia’s major bookstores through leading indie, activist distributor, Pak Chong’s GerakBudaya. We have sold out copies at hand for the moment (second impressions are on the way), but you may purchase them directly from GerakBudaya here. After a brief hiatus, NH Chan re-appears to pen his thoughts on PASOC. On the cover of Perak: A State Of Crisis, 2010 – the book is described as “Rants, reviews and reflections on the overthrow of democracy and the rule of law in Malaysia”. Why is this book a must read? It is so because the book is a chronicle and commentary of the events that led to the unceremonious overthrow of the PR Government in Perak. The direct involvement of the BN protagonists who engineered the treacherous takeover – whose actions in that sordid episode spoke louder than words – has demonstrated unequivocally to the people of this country and to the world that they are the unquestionable “bad guys”. With such unyielding and nefarious mindset in the BN camp, it looks like the choice for the voters in the next elections is between “good and bad”, “right and wrong”, “democracy and oligarchy” etc. The choice is obvious for no one wants to be governed by a group of self-serving people for this is the meaning of “oligarchy”; such an attitude in the psyche of the BN mindset would inevitably lead to “resource-draining corruption and rampant inequity” – to borrow a phrase from Audrey Quay in her “Editor’s Preface & Introduction” (page v) – as the Perak debacle has brought to light. And who are these rather sinister individuals – whom, for want of a suitable nomenclature, I have called “the bad guys” – who publicly and unashamedly portrayed themselves, in actual participation, as the perpetrators in the dastardly events that followed culminating in the illegal takeover of a democratically elected State Government? At 10am, Najib has an audience with Sultan Azlan Shah, leaving the meeting once and returning to the Palace with the 4 ex-PR legislators. At this meeting, Najib presents letters of support from 28 BN Assemblypersons, and Jamaluddin, Osman and Hee, who aligned themselves to BN. The letters state that they will support whoever is named by Najib as MB of Perak. Their audience ends at 11.30am. At 11.40am, PR files an application at the Ipoh High Court to declare the 3 seats vacant. Sultan Azlan Shah meets Nizar at 12.50pm briefly; and issues a statement at 3pm. He deems Nizar to have lost the confidence of the State Assembly, and instructs the resignation of Nizar and all EXCOs, failing which those posts would be deemed vacant. State Secretary Abdul Rahman Hashim issues a letter instructing Nizar, EXCO members and aides to vacate their offices with immediate effect. A defiant Nizar clocks into work at 10am but is forced out 45 minutes later by the State Secretary. UMNO Assemblyperson Dr Zambry Abdul Kadir (Pangkor) is sworn in as Perak’s new MB before Sultan Azlan Shah at 4pm. Outside the Palace, some 3,000 protesting citizens are engulfed in tear gas as police try to disperse them. 6 new BN EXCOs are sworn in. Another attempt by Nizar and PR EXCOs to enter the State Secretariat building is foiled. Nizar says he will continue working as MB operating from the MB’s official residence that he still occupies. But the real issue that irks the rakyat is the fact that the capitalists and the royalty have robbed the State Government from the rakyat. Regarding the legality of the Sultan’s decision to call for the resignation of the Menteri Besar, I am prepared to say that the decision is wrong in law. Based on the Perak Constitution, the MB does not hold office at the pleasure of the Sultan. The only way the MB goes is by way of a no confidence motion in the Legislative Assembly. The Sultan cannot just ask the MB to vacate his office. The questions then are: who decides whether the MB ceases to command the confidence of the majority of the members of the State LA? Should it be the Sultan or the State LA? How and where should such issues be decided? The answers to these questions are obvious. Matters of grave importance that affect the interests of the State should be decided in the hall of the LA, and not along the corridors or halls of the Palace. The State of Perak was robbed by the capitalists and the monarchy. The fate of the State should not lie in the hands of allegedly corrupted politicians and a Sultan. It should be in the hands of the rakyat! Let the people of Perak decide the fate of their State through fresh elections. … if the featured commentaries in this book tolerably record the incidents that transpired in Perak, should they succeed in illuminating the string of events, courageous and disgraceful alike, that led to the removal of a democratically elected State Government – if it sets us all on guard to prevent hijackings of democracy from recurring – we have met our objective. I think I have quoted enough from the book to whet your appetite to read more. But unlike the sparrow which got away with murder, these people are accountable; they themselves and all those who are in cahoots (it means “in collusion”) with them. They have been identified and named in the book and they cannot deny it because of their direct involvement as participants in the coup. They will have to answer to the people when the next elections come. I know we have heard politicians in BN say that they are not answerable to the people, only to the Cabinet or the Government – but don’t they realise that by this remark they are admitting that the country is being ruled by an oligarchy? For being insensitive to the feelings of the people, these politicians seem to have nailed BN’s coffin. And this book, I think, is going to be their nemesis! So do get hold of a copy of the book or buy more copies for your friends. It looks like the book is a clarion call to us ordinary folk to wake up; “if it sets us all on guard to prevent hijackings of democracy from recurring – we have met our objective” declares the editor of the book. So let us all support the call for justice, for fair play and for integrity among our politicians. We can do this by the power of the vote. If we do not want our country to be an oligarchy or to have draconian laws like the ISA to muzzle our freedoms, then read this book and use your vote at the next elections to change all the evil that has befallen us. Don’t forget if it can happen in Perak, it can happen again anywhere in Malaysia. For that is the price to pay for having oligarchs to rule over us. Now is an opportune time to act. But we are civilised people. We do not resort to violence to change things. We deplore the methods used by the Government in power to suppress dissent. But we will use the power of the vote. The intrepid LoyarBurokkers of LoyarBaca (the publication arm of LoyarBurok) has produced a gem of a book. Such an outstanding book has to be a must read. I congratulate them. NH Chan, a much respected former Court of Appeal Judge, is a gavel of justice that has no hesitation in pounding on Federal Court judges with wooden desks for heads. Retired from the Judiciary to become the People’s Judge. Wrote the explosive “Judging The Judges”, now in its 2nd edition as “How To Judge The Judges”. Once famously hinted at a possible “case match” between lawyer and judge by remarking that “something is rotten in the state of Denmark” (see Ayer Molek Rubber Company Berhad & Ors v Insas Berhad & Anor  3 CLJ 359 – note solicitors for one party in that case was Messrs VK Lingam & Co). We need more people like NH Chan. That’s why you should buy PASOC and his book. Do you have a spam issue on this blog; I also am a blogger, and I was wondering your situation; we have created some nice methods and we are looking to exchange techniques with others, be sure to shoot me an email if interested. Its so sad. So sad for Perak and for Malaysia. 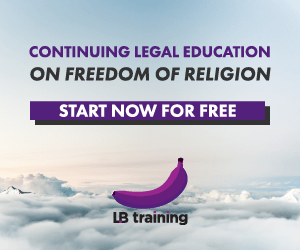 Many would have hoped that Perak would lead the way in the rule of law, considering that the head of state was once very respected by the legal profession. It shows how money and power can corrupt.. absolutely. And now… Perak has become a state in confusion.. where the law no longer stands! Anyone know which Oligarchy is being referred to, or can list the clique and party or persons and which constituencies? In fact, it would be good to have a list of family fiefs and oligarchs in every state as well so people know who to run against. The Perak KITA or MCLM branch will have to get to work on removing the offending aduns mentioned in tis article as Oligarchs, if they are aduns at all. It is regrettable that the Sultan got involved in this mess. If it was just motivation for material gains, it certainly was not worth sacrificing neutrality at all. 1malaysia way to seize power. its clear as daylight 1malaysia is nothing but a slogan. the man behind the nefarious coup is none other than 1malaysia. he overthrew a legitimate govt elected by the people of Perak. He tried to do the same in Selangor but inept MACC made a hatch of the operations and poor Teoh has to suffer the terrible death. When will Malaysians wake up and claim the country back from the corrupt UMNO?